Preparing your car for long term storage is an essential step in ensuring it remains in top condition while tucked away for a considerable length of time. The reasons people opt for long term car storage are numerous. It might be that your car is a summer trackday toy, or perhaps your line of work means you'll be out of the country for extended periods of time each year. Whatever the reason, leaving your car storage needs to the experts is a sure-fire way to keep it safe and secure while you're not there. 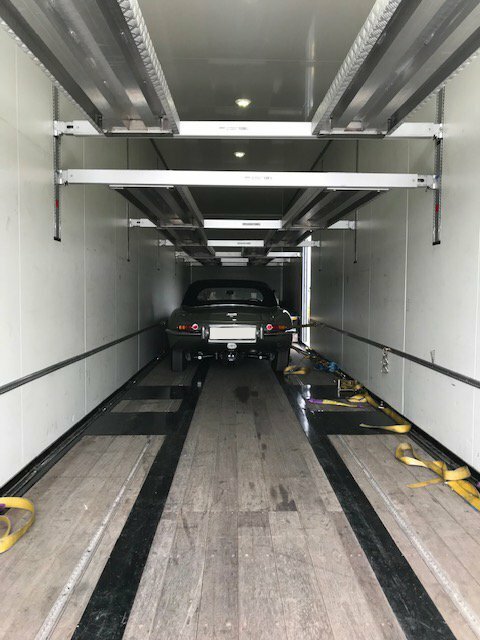 At Circuit2Circuit, our car storage service for classic and race cars will take care of your precious motor while it’s locked away securely, but there’s a few things you can do yourself to give you ultimate peace of mind. The following suggestions aren't required if you're booking car storage with us, but we know our customers well, and fully understand if you want to do all you can personally for the love of your car! How can I prepare my vehicle for long term car storage? If the car is being stored for three months or more, a full filter and oil service beforehand is great idea and will ensure the engine is in top condition when you pick it up (leave it with a full tank of fuel, too). If you have a sneaking suspicion the battery is on its way out, replace it before putting it into long term storage. We’ll ensure it’s looked after with trickle charging once tucked away! Leave a note to yourself. Make notes of anything you’ve done personally to the car before putting it into storage - that way, you can easily ‘undo’ everything once you collect it again in order to make it roadworthy. Give it a thorough clean. It might sound like an odd thing to do, but one of the most important steps you can take before putting your car into long term storage is to give it a thorough clean. This will ensure the paintwork and bodywork remains in great condition (although, you can ask us to give it a full detailing too, if you like!). What about insurance and tax? This is a fair question. If your car is heading into long term storage, where does that leave you from a taxi and insurance perspective? Due to something known as the ‘Continuous Insurance Enforcement Act of 2011’, your car will still need to be insured, even when it’s not being used. However, if you decide to apply for a Statutory Off Road Notification (SORN) from the DVLA, that won’t apply, and you can avoid paying tax while it isn’t being used. To apply for a SORN notice, click here. We’ll ensure your car is given the best possible treatment while in storage with us, but it’s always worth performing a few checks yourself when you finally get it back into your hands. book it in for a service - it’ll be worth it. Ready to book your long term car storage? Contact us today, and we’ll explain how our long term car storage solution will be the best thing for your motor while it isn’t in use.